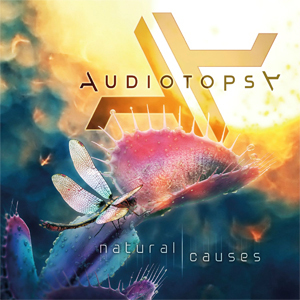 AUDIOTOPSY, the powerhouse foursome featuring guitarist Greg Tribbett (MUDVAYNE, HELLYEAH), drummer Matt McDonough (MUDVAYNE), vocalist Billy Keeton (SKRAPE) and bassist Perry Stern released their debut, Natural Causes in October 2015 via Napalm Records. The band embarked on their first North American tours last year alongside heavyweights including ALL THAT REMAINS and DROWNING POOL. The band will be going out on tour again beginning May 6th in Jacksonville, FL. This run also includes appearances at the Carolina Rebellion Festival and The Northern Invasion Festival. A complete list of dates can be found below. AUDIOTOPSY is looking forward to returning to the road. The band's video for the "The Calling" that was directed by David Brodsky of My Good Eye NYC, can be seen on KNAC.COM HERE. Self-produced at The Porch Studio in Orlando, Florida with engineer Tim Laud, the guys maintained their singular perspective with Natural Causes. Merging intricate instrumentation with a seamless knack for melody, they conjured up a style as heavy as it is hypnotic. Natural Causes is available on iTunes HERE. The album is also available in special bundle packages directly from the band HERE.